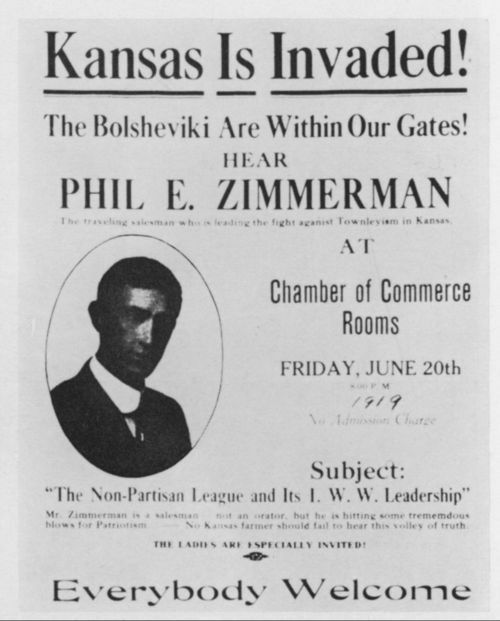 This handbill is advertising Phil E. Zimmerman's speech against the Non-Partisan League and I.W.W. leadership in Kansas. Kansas is invaded! The Bolsheviki are within our gates!